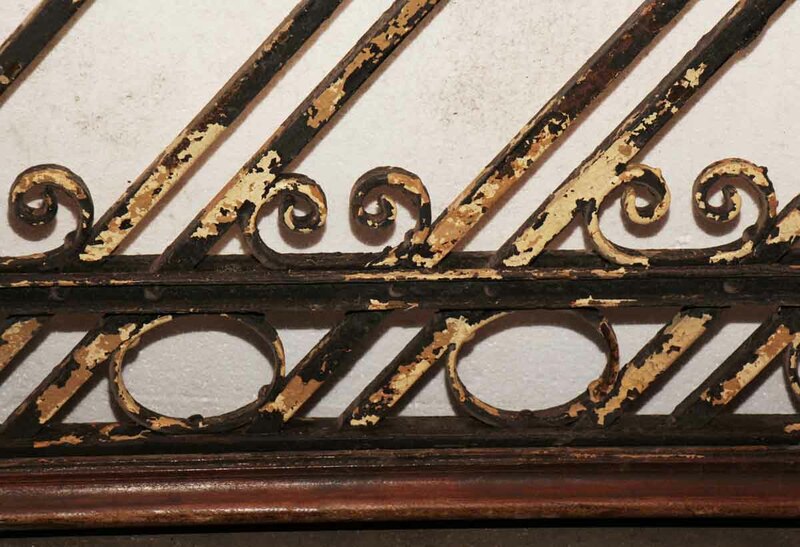 This is an original wrought iron staircase railing salvaged from a building built in the late 1800s. The iron is all riveted and smith the original way and is in excellent condition. The wooden banister is intact, but needs refinishing. It is hard wood, which looks like either walnut or oak. Priced per foot. 30 in. H including banister, 10 in. rise over 12 in. run, lengths include 14 pcs. 8 ft., 5 pcs. 5 ft.